At this stage, we procrastinators need help getting the taxes done. Luckily, a fluke in the calendar gives us until Tuesday to file. Here are some last-minute Web sites, mostly straight from the Internal Revenue Service. IRA deposit. Last-minute filers need to consider the typically enormous benefits of rushing money into an IRA, or individual retirement account. Deposits made by Tuesday night can be applied to 2006, and, in the case of regular IRAs - but not Roth IRAs - are deductible. This Kiplinger.com article highlights the Roth IRA's advantages. IRA calculator. This online calculator may help you figure out which is better for you - the traditional IRA or the Roth IRA. Late tips. 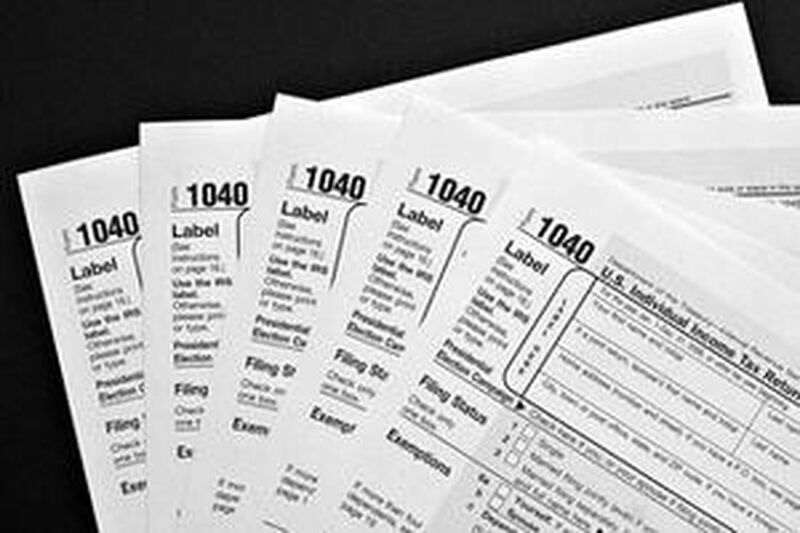 The IRS offers tips for last-minute filers - most having to do with making sure you get your Social Security number right, and make out the check to "United States Treasury." Overlooked deductions. A telephone-tax rebate, deductions for college tuition, and the Earned Income Tax Credit for lower-income families are among the tax savings that people frequently overlook, especially at the last minute, according to the IRS. Tax mistakes. Last-minute filers - especially those doing paper returns - risk making key mistakes, such as leaving out some forms, missing deductions, and getting the simple math wrong. This Web site is for Young Money magazine, which is aimed at, well, young people with money. The blurb here seems to have originated at H&R Block. Extension form. Just in case, here are the IRS instructions and the form to file for extra time to complete your tax return.